Difference b/w Type 2 and Type 1 Diabetes and Green Vegetables Benefits regarding Diabetes Type 2. Type 2 Diabetes occurs because of resistance of the cells to insulin. Why pop up so many supplement pills when you have nature at your doorstep to prevent your illnesses! Ye,s this is the case with diabetes mellitus of type II. It might sound strange but yet it is true nonetheless. According to a latest research, it has been shown that eating green leafy vegetables especially spinach will reduce the risk of developing type II diabetes. Alas, you will be eating a plate of green leaves with spinach making the bulk of it and will stop looking for the supplements claimed to have been the most effective in the diabetes prevention genre. Now and then the researchers from Leicester University have reviewed at least six studies and that too covering around 220,000 participants. These were focused on the linking the fruit and vegetable consumption with the common notorious disease, type II diabetes. In this research, it was found that eating about one and a half extra servings of green leafy vegetables a day will reduce the risk of type 2 diabetes However, in the consumption of more fruit and vegetables combined does not significantly affect this risky business. Because of their antioxidant contents, such as vitamin C, many fruits and vegetables may prevent chronic diseases. Vegetables like spinach possibly act to reduce type 2 diabetes risks. Some of this effect is thought to because of its high magnesium content in spinach and others. Also included in the green leafy family were broccoli and cauliflower, with which the risk reduction seemed to be more significant. The team calculated a daily dose of 106g that was found to have reduced the risk of diabetes by a significant 14%, which in the UK “portion” is classed as 80g. However, adding more to this theory, the authors stressed out that these results do support the evidence that rather than their ‘components’, such as antioxidants and magnesium, the foods themselves are beneficial to your health. By taking supplements alone does not compare as such to eating the spinach and having the benefits. This study also noted that with 86% of UK adult population who eat less than the recommended five portions of fruit and vegetables per day, only 62% consuming less than three portions of this recommended natural diet. It was however warned that the evidence was too small and limited. While it also seemed to be too early to isolate green leafy vegetables and present them alone as a sole method to improve the prevention of risks of developing diabetes. Whatsoever the case is, it is still good news for you if you want to improve your health whatever happens and ready to prevent such lifelong diseases at any cost. 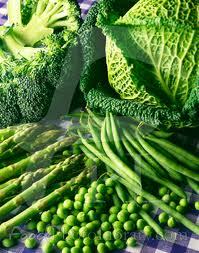 For latest development and complete approval of these green vegetables you must remain all ears to this ‘Green Revelation’ which I just showcased for you at pharmacy online. Try to take the vegetables in five portions of what is recommended.